Studentlund is the whole student life gathered in one membership. Studentlund consists of the nations, the Academic Society (Akademiska Föreningen) and the student unions. When you become a member of Studentlund you get access to both a social community and cultural events. You also get the opportunity to influence your education, establish contacts with the labor market, access housing queues and more. Studentlund is a membership consisting of the so-called “three pillars” which consists of the nations, the Academic Society and the student unions. This membership is not just one of its kind, but one of the strongest contributing factors why new students continue to choose to study in Lund each semester. Studentlund gives you many opportunities to develop yourself and gain valuable skills and experience outside the lecture halls. The Studentlund membership makes you a member of a nation and the Academic Society as well as the student unions. The membership gives you access to all the things that make Lund a great city to study in. If you wish to attend activities provided by nations or student unions, or to be able to apply for housing at AFB you must be a member of Studentlund. Below you can read more about what each pillar has to offer! What do the nations, the Academic society and the student unions do? The nations main task is the social activities outside of your studies. The majority of the nations activities consist of restaurants, pubs and nightclubs. Except for that you also find sports activities, newspapers, choirs, scholarships and housing. To get access to a specific nation’s housing you must be a member of that particular nation. 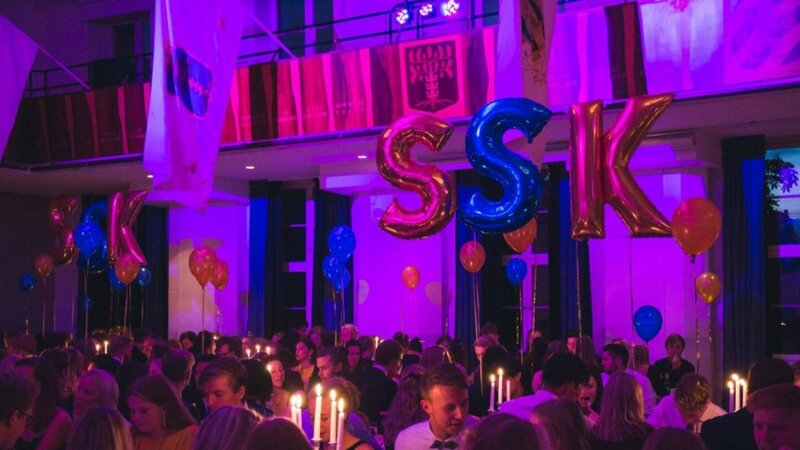 The Academic Society (AF) is a non-profit organization for students with the goal to collect and extend cultural activities at Lund University. By offering arranged events in the AF building (AF-borgen), AF enables associations and individuals to conduct small and large events that enrich Lund’s student life. The AF building is the students’ building that among other things provides study places in Café Athen. At night, the AF-building is the center for many of the activities that the AF’s committees and associations organize. AF also provides housing through the foundation AFB that rents nearly 6,000 homes exclusively to students, making AFB Lund’s largest student housing company. The student unions work primarily with educational affairs, and the goal is to maintain high quality in all courses at Lund University. In addition to monitoring the education, the student unions also organizes some social activities, help out with business contacts, job fairs and lectures. They also arrange welcome activities for new students. Once you have been accepted as a student at Lund University, please register as a member at Studentlund.se. For more information about registration and how the membership fee is paid, go to: https://medlem.studentlund.se/en/become-member. You can only join Studentlund when you have received a valid acceptance letter. If you are already a member of Studentlund you renew your membership by paying your home sent tuition bill each semester. You can also pay by credit card here. If you have questions regarding your bill or membership, please read through this FAQ. If you cannot find the anser to your question you are welcome to contact your nation. You can reach us at expen@sydskanska.se. NOTE If you have moved and have a new address you can easily change it yourself here. it’s very important that your contact information is updated since your student card will be sent to the registered address. You may also contact your student union or nation if you’re experiencing any problems with changing contact information. Students at Lund University whose education is provided at a place other than Lund, distance education students or students going on exchange semester at Lund University have the opportunity to subscribe for a membership in the student union only, or a nation and AF only. Do you have any questions or have you encountered a problem regarding your membership? Click on this link! Through the link you’ll find a list of frequently asked questions concerning membership and student cards. Hopefully you will find the answer you are looking for there. If the answer to your question is not listed, please contact your nation or student union. If you have friends who come and visit you here in Lund and you want to go to any of the nation’s activities together, you can buy a guest card for them if they are students too. The price of guest card is currently SEK 70 and the guest card is valid for seven days. You can buy a guest card at all nation offices during each nation’s opening hours, you will need to bring ID and student ID when you purchase the guest card. If you are buying a guest card for a friend you need to have their ID and student ID or a copy of them both with you. The card entitles entry to nation activities under the same conditions as apply to members of Studentlund, i.e. one can enter all nations that are members of Studentlund / Kuratorskollegiet. The guest card is only valid together with both student ID and valid identity card, which must be shown at the entrance. A valid student ID is a student card or certificate from the university at which you are studying. A valid card with name and date of birth is therefore an approved student ID. Guest cards can only be purchased by students at other colleges and universities in Sweden and corresponding higher education institutions abroad. Student cards must be displayed when purchasing a guest card. Students at Folk University, Komvux, or qualified vocational school can not buy a guest card. Guest cards can not be bought by students at Lund University. These, instead, have the opportunity to become a member of Studentlund. Exceptions to this rule are students at Campus Helsingborg, who are given the opportunity to buy a guest card.